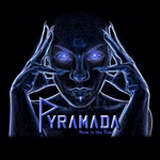 It is fair to say that New Jersey rockers Pyramada would not get on my reviewing radar if I wasn’t asked specifically to look into them. Their bio and the first few spins through the self-released debut Now is the Time revealed the fact that they reside in the melodic hard rock/metal region where I generally do not have a lot of interest, straddling multiple boundaries between old school and new production sound, soft metal and somewhat of a post-grunge rock. This area, in my mind somehow distinctly associated with American do-it-yourself bands, is simply something where I do not have a lot of listening experience, because the little of it that I did have in the past did not make me seek out more of the sound. To Pyramada’s credit their first four tracks on the album made me think that this wishy-washy opinion of the genre is about to change. Not rushing into action, but instead pressing forward with a steady distinct riffing approach atop the restless drums, with Madman and Mind Abuse Pyramada reminded me somewhat about my high school days listening to King Kobra and White Lion, but without all the glam, and with a lot more sound musicianship, doubling their guitars in the lead on Mind Abuse and almost reaching into the prog territory. At Paramada heaviest one could even bring Metallica into the conversation, at about the time when these idols of American heavy metal totally left their thrashy ways and began their determined move towards all-around acceptance. The beginning of Hear Me at first felt that it is a little too soon for a ballad, but the song has an excellent build-up with its constantly pointing forward motion, dissolving into an acoustic outro leaving the listener with an understanding that the lonely soul of Me still wasn’t heard at the end. Those flowy stretchy songs (including SOL) is a winning aesthetic for Pyramada, when bass is strongly audible, vibrating in the stomach (SOL, Believe) and the quality of players is strong enough to embark on prog forays in the midst of what could otherwise be a KISS song (People Talk). The vocals of Pete Pollio also are in line with this approach, as his voice never tries to reach higher than he can possibly go, stretching mostly laterally instead of in a vertical direction. Sadly though, just about as I was to become a convert, Alice in Chains grunginess unabashedly barged in on Wild Child and Walk Away to ruin the first impression. Not that I would ever wanted to say that my tastes are better than those of the Pyramada’s musicians here, but the desires to sound more modern and commercial in some of the songs on Now is the Time actually makes me appreciate this album less than if it stayed wholly in the realm of old school hard rock, basic metal riffery with guitar-whizzing prog touches. With those expectations now firmly set, the repeated listens for Now is the Time inevitably left me going back only to the tracks I liked, completely skipping the ones I didn’t. Fair judge of the music then or not, I am 50/50 on this album. Pyramada would do well opening for some old school act trying to make a comeback with those 40-50 years old in the audience. Alternatively, they could appeal to the more mainstream radio-friendly crowd. It is just both sides of the band never meshed that well for me in the end, one part of the imaginary audience would always leave when “their” music would be displaced by the other face of Pyramada. The quality is here for the band, and I wish them well, but following them breathlessly is definitely not in the cards for me.